This page last revised October 10, 2015. 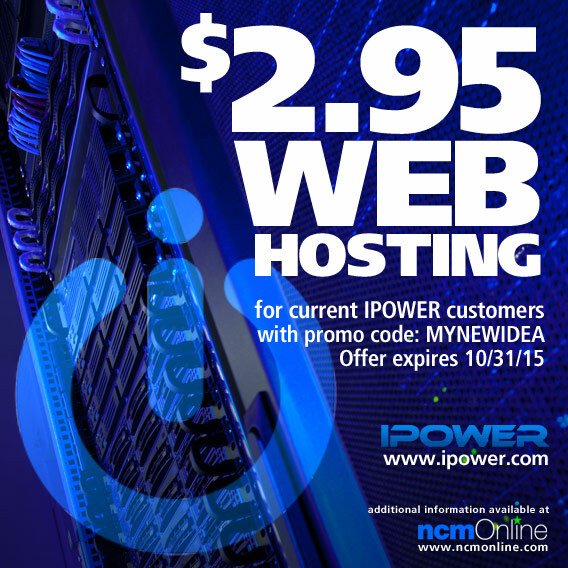 Current customers can add an additional hosting account for only $2.95 per month. Use promo code MYNEWIDEA in your cart when you order. What would you do with another hosting account? Get a domain name and fully loaded IPOWER web hosting plan for your next new idea at just $2.95 per month. But you’ll need to act quickly as this promotion will expire. This offer includes the IPOWER 30-day money-back guarantee. If you’re not satisfied with your new hosting account during the first 30 days, you’ll receive a full refund of your hosting fees. No questions asked. Certain elements of this page: Copyright © 2015 IPOWER, 10 Corporate Dr., Suite 300, Burlington, MA 01803. All rights .